There are three types of Japanese characters: (1) Hiragana, (2) Katakana, and (3) Kanji. Here you can see all three characters in action for the sentence, "Tom loves pizza:"
In this course, we'll teach you how to memorize hiragana and katakana. Also, we'll learn to pronounce them accurately. "The Kana course I seriously wish I had when I started studying Japanese." 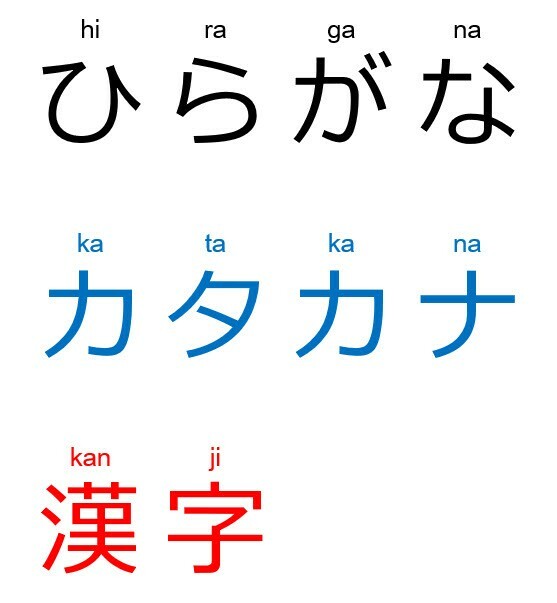 "Your chart of the kana with pictures and keywords has been very helpful. I am now learning katakana extremely fast, where in the past I’ve started several times and never got all the way through them." High quality flashcards for everything! So let's get started learning these crazy characters! Plus, after you've mastered these bad boys you can take full advantage of sweet resources like our "Toby in Tokyo" video course. Yeah, it's totally FREE. I know that a lot of books and schools charge money to teach you these things (less effectively, in most cases), but I don't want students to purchase anything from me until I've already generated proven results for them.